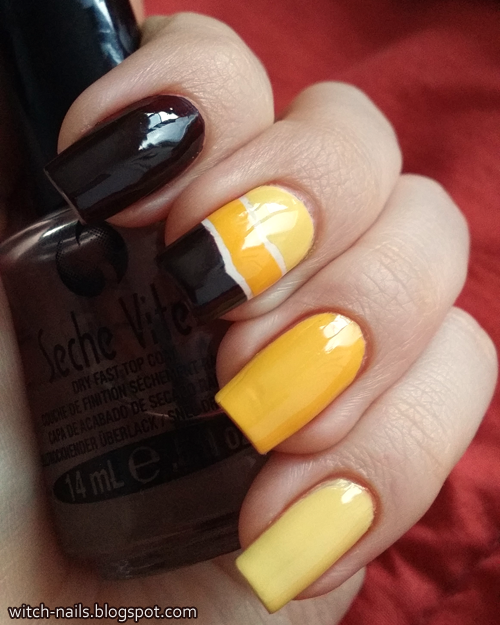 This is my manicure for the yellow nails day. This can be effective nail art for short nails, though mine are medium length at this point. Apply your base coat, then paint the nails any color you like. I wanted white stripes on my striped nail, so I painted that one white. 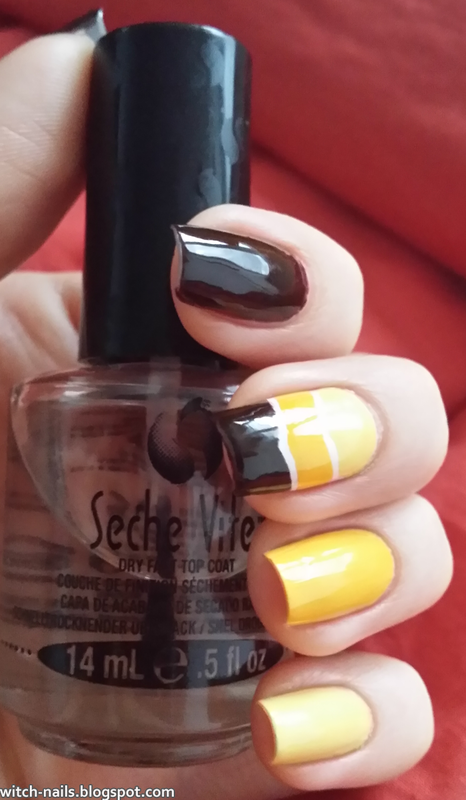 I applied Seche Vite fast drying top coat on the white nail just to be able to do the next step immediately. 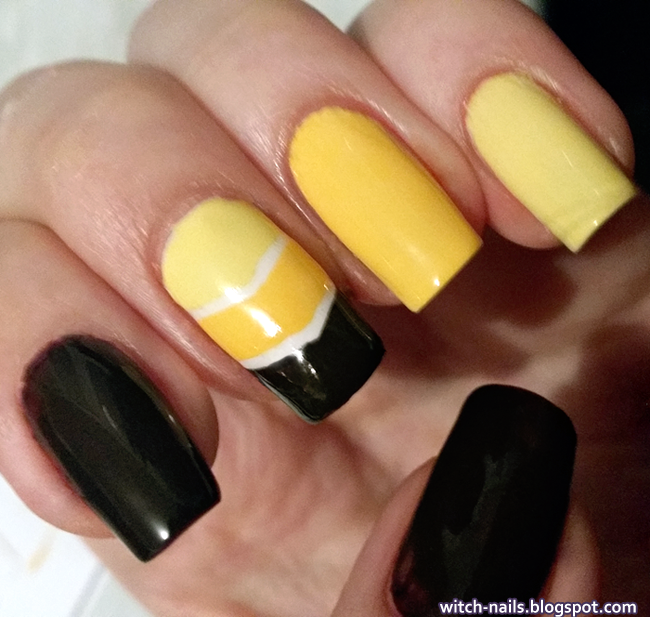 Stick nail tape onto the nail. I used 2 pieces meeting in the middle for each pointy stripe. Paint the separate areas of the nail with your chosen colors. Be careful not to cross the borders. Remove any polish from skin and apply top coat. Finished! This manicure is really effective, and it seems to be popular these days. 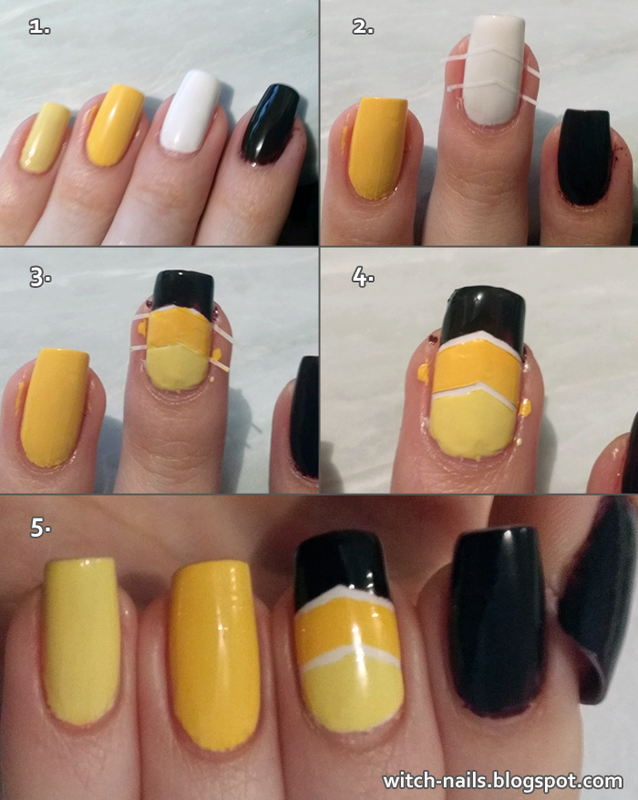 Using nail tape gives you precision and turns out good every time. I also switched ownership to my other account (Joanne Shepard Nails), instead of the one I use for work and school, mind you. It's a little chaotic now, but things should get back to normal in a few posts. If you are experiencing anything wrong with the site's look, please tell me!